Starring: Jon Favreau, Sofia Vergara, John Leguizamo, Bobby Cannavale, Dustin Hoffman, Oliver Platt, Emjay Anthony, Scarlett Johansson, Robert Downey, Jr.
Pictured (l-r): John Leguizamo, Emjay Anthony, Jon Favreau. 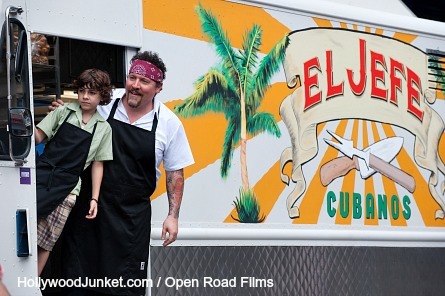 Carl Casper (Jon Favreau) is a chef on a mission who’s out to let his culinary creative juices loose in his newly purchased food truck. 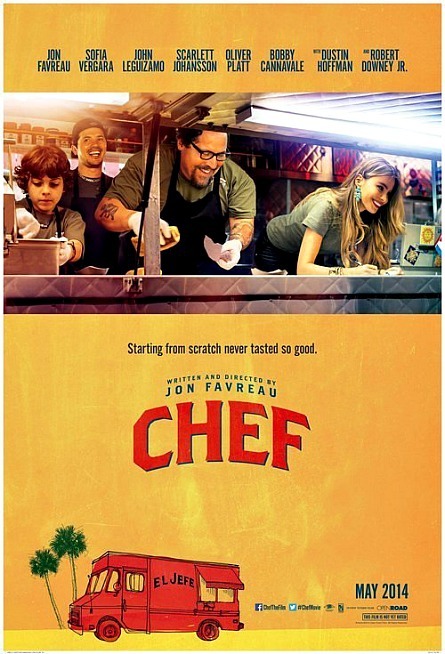 Along with the help of his son Percy (Emjay Anthony) and buddy Martin (John Leguizamo) is out to prove that he has a food vision of success! 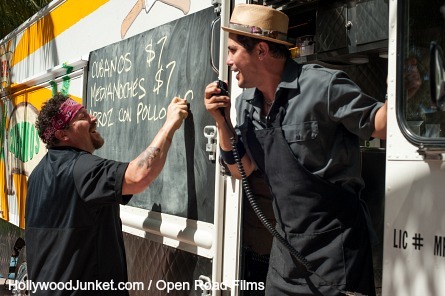 His ex-wife Inez (Sofia Vergara) is anxious to pick her son up who has been brought onto Carl’s new food truck venture a thousand miles away. Pictured (l-r): Robert Downey Jr., Jon Favreau. The Highs and Lows of Tweeting! Pictured (l-r): Emjay Anthony, Jon Favreau, Sofia Vergara. Pictured (l-r): Jon Favreau, Emjay Anthony, Sofia Vergara. Pictured (l-r): Jon Favreau, John Leguizamo.